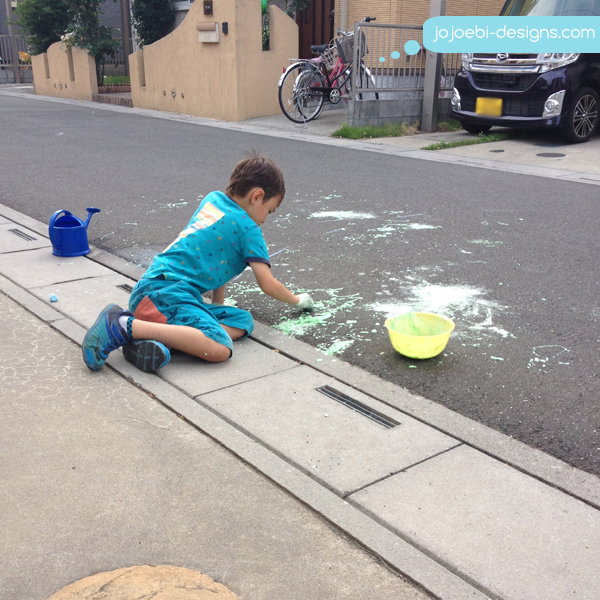 Ebi-kun came home from school the other day and requested to make goo or gloop or whatever you want to call it. We have done this before but he had the urge to do it again! 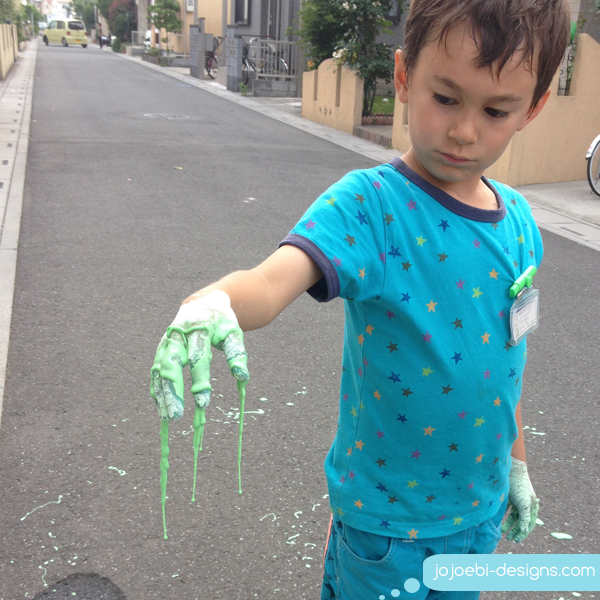 We didn't actually measure anything, not very scientific, I know but it's a good way for kids to learn that not everything has to be done perfectly correctly! Then we decided to take it outside. 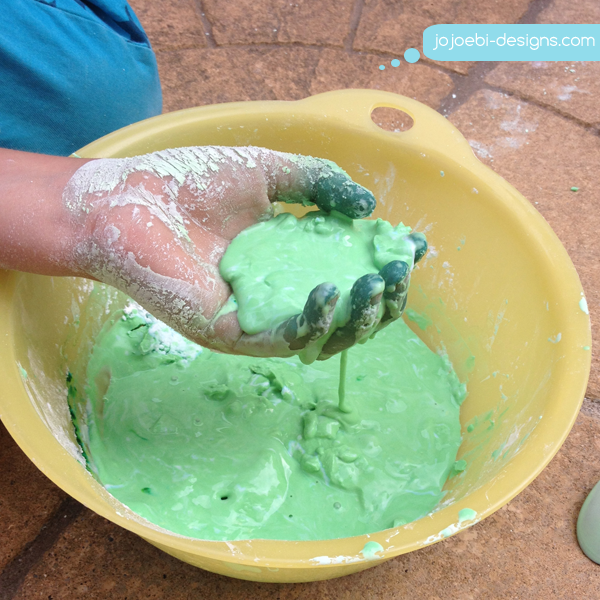 We talked about the goo being an oobleck and why it acts the way that it does. Neither of us know how he managed to do this gravity defying trick! Definitely more fun outside but I'm not sure what the neighbours think of the strange goings on, I'm not sure I give us 'foreigners' a good name, like I care! 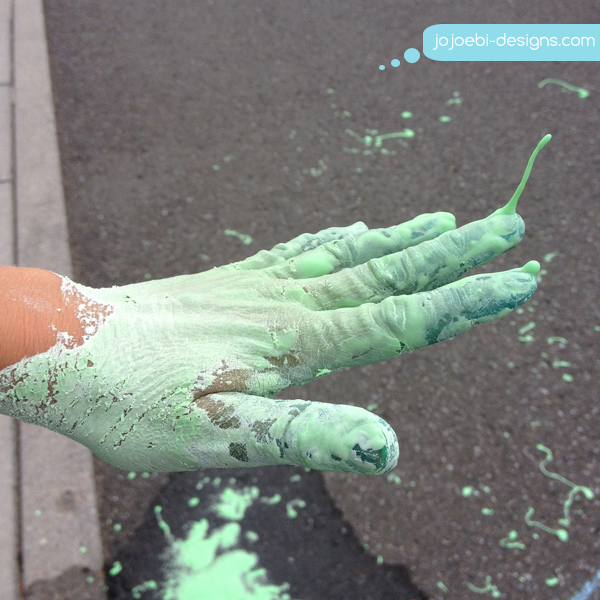 Quick, cheap and easy entertainment, can't shake a stick at that! 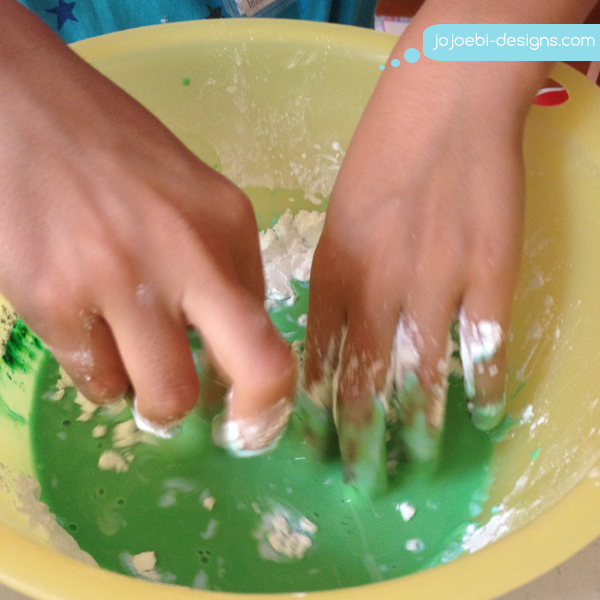 Have you tried making goo with your kids?